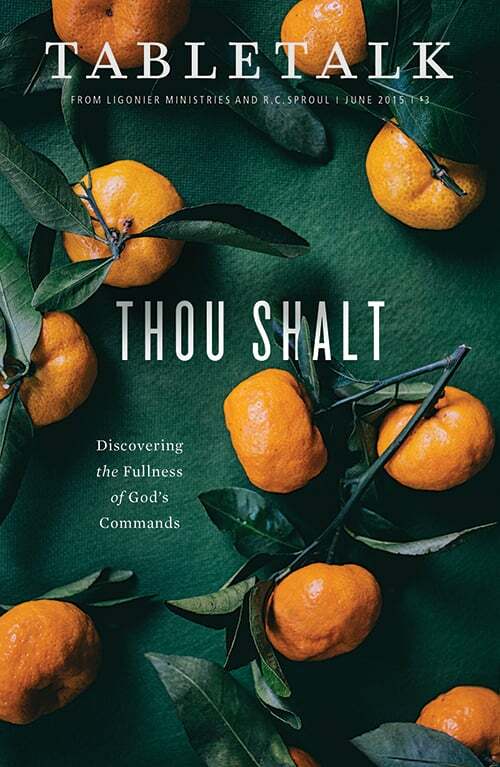 The June issue of Tabletalk will expound on the Ten Commandments. Some Christians see the Ten Commandments simply as a list of dos and don’ts. However, their full scope of meaning is far greater. This issue of Tabletalk will emphasize what each commandment requires and what each forbids according to the Westminster Shorter Catechism. It will thereby provide Christians with a fuller understanding of God’s character and His call on our lives. Contributors include R.C. Sproul along with Eric B. Watkins, R.C. Sproul Jr., Iain D. Campbell, Sean Michael Lucas, Douglas Bond, Brian Tallman, Scott Sauls, Robert Carver, James N. Anderson, Jason Helopoulos, Michael A. Rogers, Ken Jones, Jonathan Leeman, and David B. Garner.